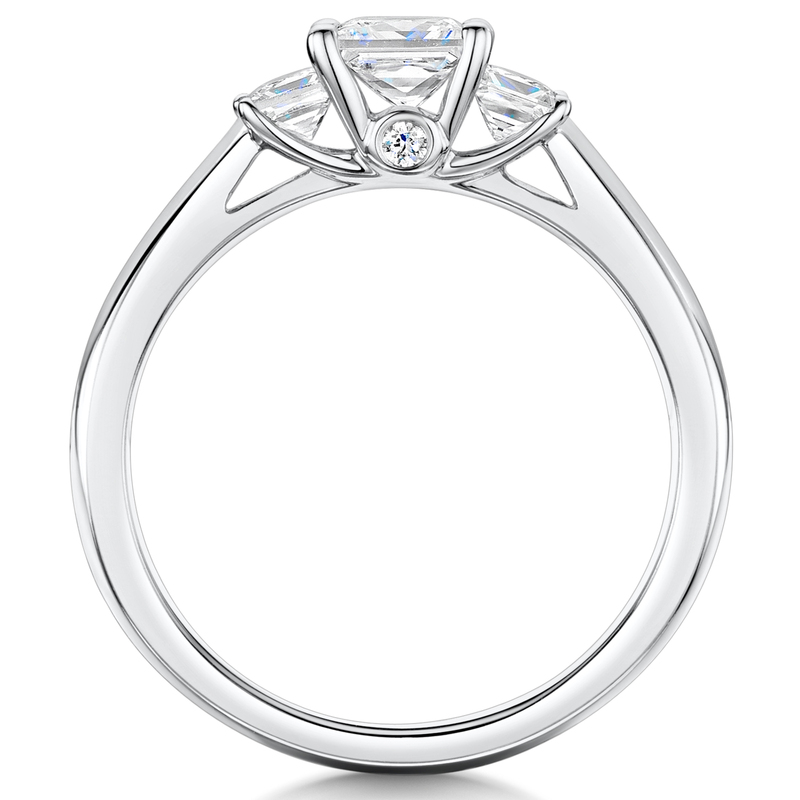 Contemporary Three Stone Diamond Engagement Ring. 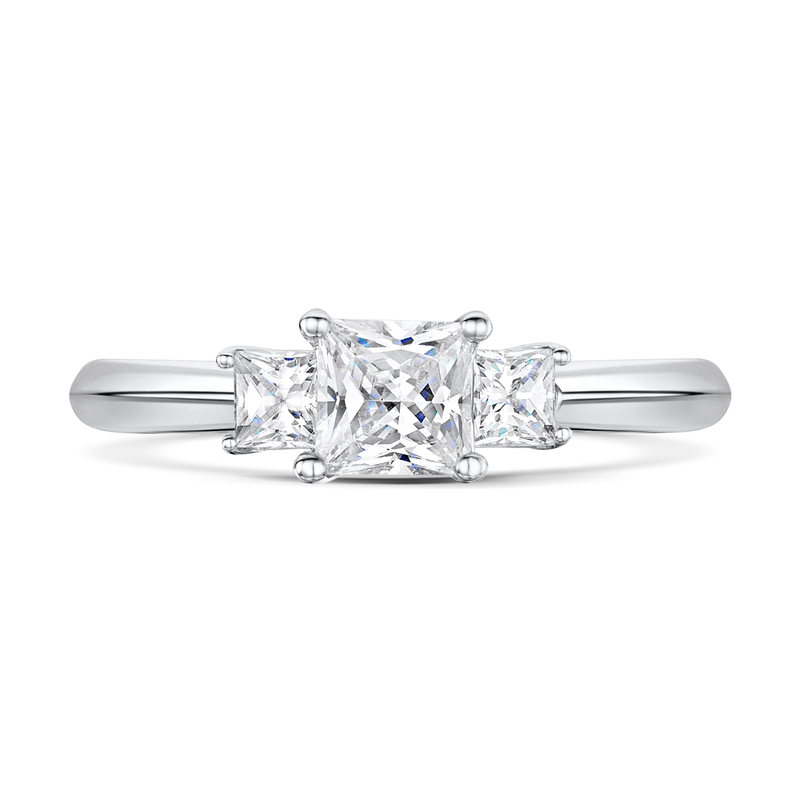 Set With 0.70ct Centre Princess Cut Diamond And Shouldered By Two 0.10ct Princess Cut Diamonds. 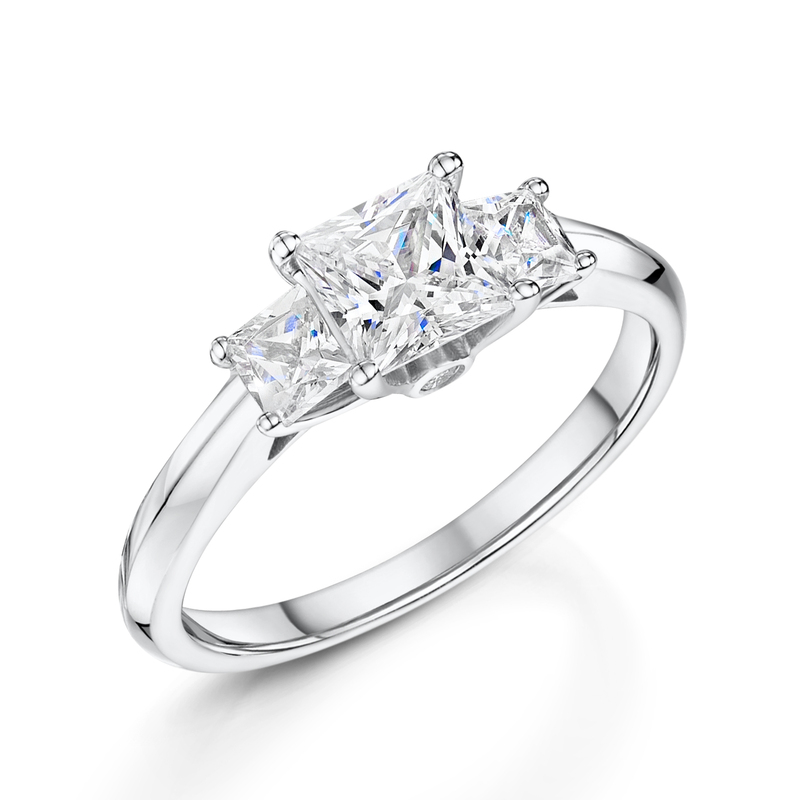 Crafted In Platinum And Finished With Round Brilliant Cut Diamond Side Detail.